The GO423 games exhibition is an annual event held at Brisbane Powerhouse and is basically Brisbane’s own miniature E3 event. Dozens of local developers get together to show the public what they’ve been working on, all under one roof, and all accompanied by local games media coverage. Last month’s GO423 was a prime example of how far the region’s game developers have come in a relatively short amount of time. The same event last year had around 15 games on display on the Powerhouse’s Turbine Platform, compared to the 30-ish games at the event this time around. There were so many games that they took over several additional areas of the Powerhouse, including the Graffiti Room and the foyer! All throughout the day, Zed Games were on hand to interview developers and gain valuable insight into each game’s development process. Gently guiding interviewees in a way that continues the conversation in a nuanced way is an acquired skill that doesn’t come easy to most, but the knowledgeable folk at Zed Games made it look easy for the 8 hours they were on stage. The games pictured here represent a fraction of those that were on display. Other notable titles include Think of the Children, Damsel, and Hand of Fate 2, which were all showing off console ports that were either recently released or coming in the near future, as well as Fledgling Heroes, Slidey Feet, and the range of Faily games which have been featured in this magazine in the past. If history is anything to go by, the 2019 GO423 event will somehow be even bigger than this year. We can’t wait! An Aspie Life: Beginnings was first planned as DLC for An Aspie Life but has now grown into a fully-fledged game. The full release is still a way off, but a playable test build will be released in a few months. RPG mechanics and UI are the current focus with new gameplay coming soon. Fruit Salad is an online and free to play party game (similar to Jack Box Party Pack) that supports 4-12 players and can be played remotely. The first game mode available to play is pictionary with more coming soon. Try it for yourself at fruitsalad.party. In what can only be descibed as a truly co-operative gameplay experience, one player navigates a series of rooms in first-person, while the other player has a map view. However, only the second player can see enemies. For more details go to www.Rosewood-Interactive.com. Choose your dart, lock’n’load your colour palette and rain colourful chaos in this brilliant bonanza of messy mayhem. 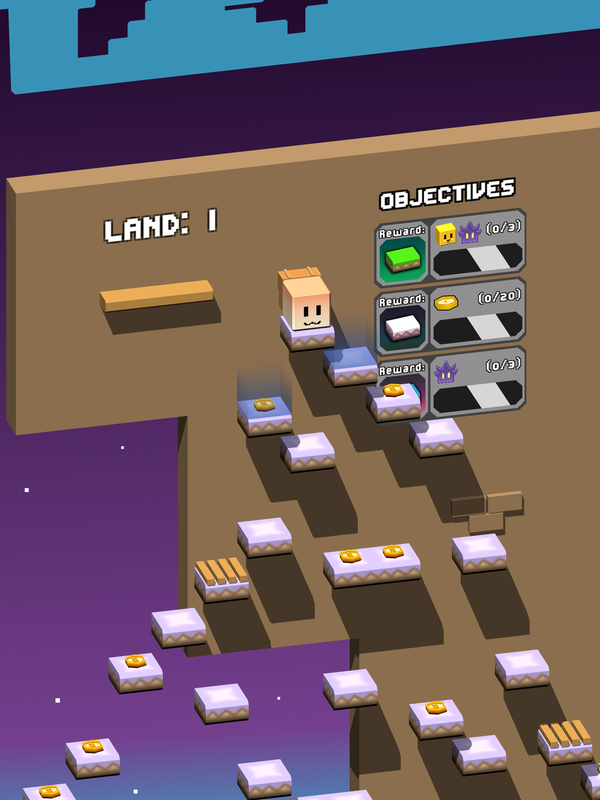 Fight for the high-score with multiple game modes, epic powerups and deep strategy in Kasplat. Coming soon to iOS and Android mobile devices. Rally Fury - Extreme Racing is a high-speed rally racing game, available now for Apple iOS and Android. The September update will add a new Alpine level featuring snow races and an enhanced paint shop which will add new paints as well as many other improvements. ‘Pixel art’ gets thrown around a lot but Unpacking is really deserving of that description. This zen puzzle game is intuitive and relatable like not many others. It’s still early stages so Unpacking is currently looking for funding. Follow @UnpackingALife on twitter for updates. Cast VR is a free first-person fantasy RPG about casting spells and solving the mysteries of a broken kingdom. The devs at Humble Sage Games will be releasing a large content patch soon and might even get to take part in Vive’s accelerator program. Fingers crossed! This quintessential ‘pick up and play for two minutes’ mobile puzzle game has received numerous new levels, hats, and bug fixes since launch so now is the time to try it out if you haven’t yet. Available for free on the iOS App Store. If you’re familiar with YouTube or Twitch then you’ve probably already seen this mini golf game in action. It has been on fire lately with over 2 million downloads! The three brother dev team from North Lakes has just released a level editor, so expect new custom maps soon. The team at Artefact Assembly showed off a really strong selection of puzzles for their game Lanterns at GO423. Still in Steam early access, there are rumours of a graphical overhaul on the way. For anyone reading this who will be attending Pax Aus, this is one not to miss.